NEW YORK — Chuck Mc-Cann, a comic whose loopiness defined live children’s television beginning in the 1950s and who later became a familiar TV and film character actor and a versatile voice on cartoons, died Sunday in Los Angeles. He was 83. The cause was congestive heart failure, his daughter Siobhan Bennett said. The Brooklyn-born son of the music arranger at New York’s famous Roxy Theater, Mr. McCann was precocious, irrepressible, and persistent. He got his big break in his early 20s while performing on “The Sandy Becker Show,” a children’s TV program on what was then WABD in New York. Without advance notice, Becker left on a Friday for two weeks in South America and asked Mr. McCann to host his show beginning Monday. Mr. McCann survived to become the host of his own children’s programs and to voice cartoon characters in “DuckTales,” “Chip ‘n’ Dale Rescue Rangers,” “Garfield and Friends,” “The New Adventures of Winnie the Pooh,” “The Powerpuff Girls,” and commercials for Cocoa Puffs cereal (as the cuckoo bird, crying, “I’m cuckoo for Cocoa Puffs!”). He also appeared as a character actor on “Bonanza,” “Columbo,” “Little House on the Prairie,” and other television series. Along with Soupy Sales, Buffalo Bob Smith, Bob Keeshan (better known as Captain Kangaroo), and Fran Allison, Mr. McCann helped shape zany, impromptu preteen programming in television’s formative years. 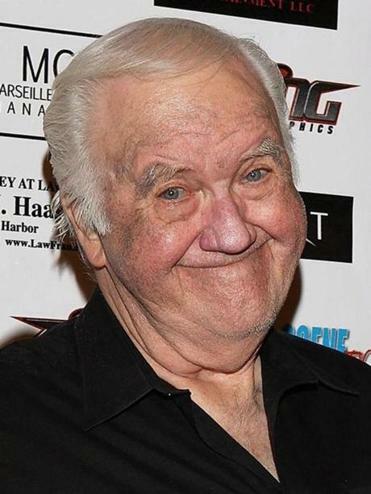 In his book “Politics and the American Television Comedy: A Critical Survey from ‘I Love Lucy’ Through ‘South Park’” (2008), Doyle Greene compared “The Chuck McCann Show” on WNEW in the mid-1960s to a blend of “Howdy Doody” and the spontaneous, experimental comedy of Ernie Kovacs. Mr. McCann, a Brooklyn native, hosted Laurel and Hardy fill-ins during rain delays on New York Yankees broadcasts. During the 114-day New York City newspaper strike in 1962-63, he kept his young television viewers up to speed on the comic strips by playing the characters on camera, echoing a role Mayor Fiorello La Guardia played on radio during a newspaper strike in the 1940s. He went on to play the lead role in “The Projectionist” (1971), as the lonely title character in a movie theater’s projection booth. The film gave him a vehicle with which to demonstrate his dexterity imitating movie stars. Rodney Dangerfield, in his movie debut, played his boss. Mr. McCann had two mantras: have as much fun as possible and keep working.